Medical vector image set with different band aids. 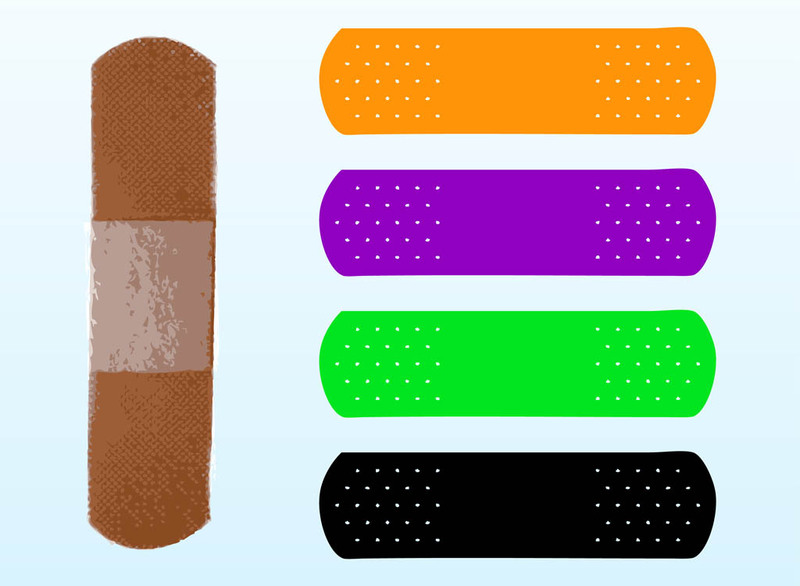 Standard band aid in skin tone color and fun colorful designs for kids’ band aids. Free vector images for wounds, injuries, cuts, hurting, pain, pharmacy, drug stores, medical supplies and first air visuals. Band aids for logos, icons and adverts. Tags: Band Aid, Bands, Colorful, Cut, First Air, Medical, Stickers, Wound.